Visit Appomattox for its history but stay for the fun! 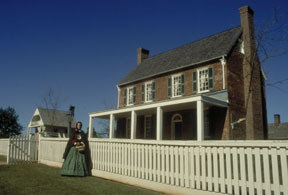 Enjoy a Civil War Weekend where history comes to life at the Appomattox Court House National Historic Park. This is where General Robert E. Lee surrendered the Army of Northern Virginia to Lt. General Ulysses S. Grant on April 9, 1865, which led to the end of the Civil War.